This statistic displays a survey on the importance of illuminated advertising for the townscape in Stockholm in 2016. 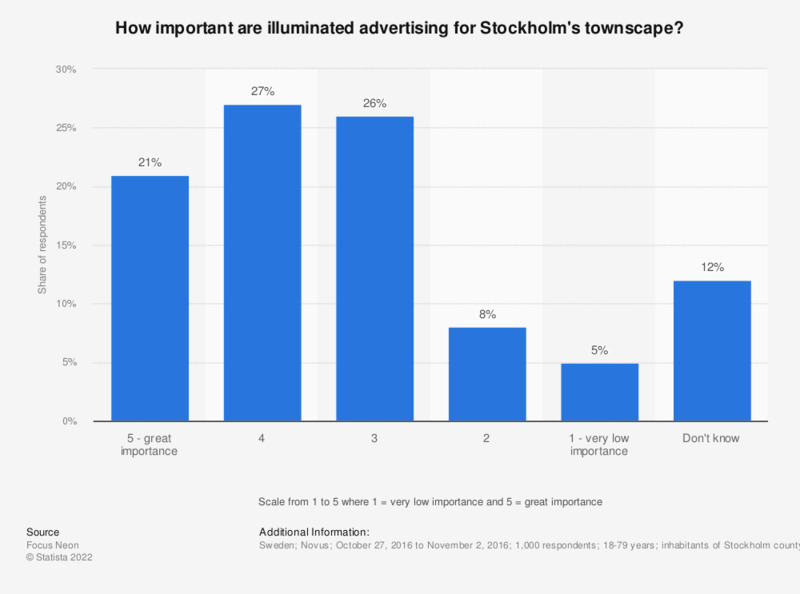 During the survey period, 21 percent of the respondents considered illuminated ads in Stockholm to be of great importance for the townscape. This question was phrased by the source as follows: "Hur stor betydelse har Stockholms ljusskyltar för stadsbilden? Ange på en svarskala från 1 till 5 där 1= väldigt liten betydelse och 5 = mycket stor betydelse."